Closeout. 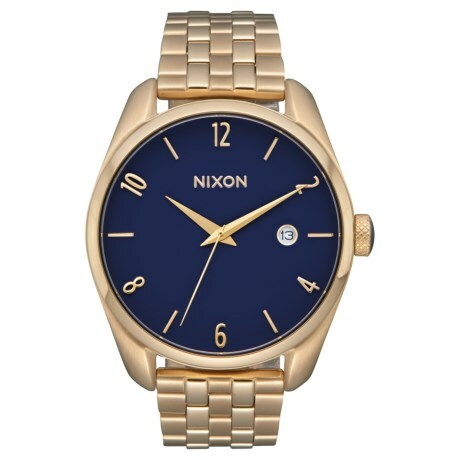 Make an impact with Nixonand#39;s Bullet watch, complete with a debossed, custom guilloche pattern on dial, color-tipped hands and a simple 3-hand design. Available Colors: NAVY/LIGHT GOLD.